Hello, My name is and I would love more information about . My email address is and I'd love to hear from you! At Nox, we are obsessed with security. That's why our Nox Enterprise Commerce ("NEC") platform is fully PCI compliant and built on a secure, multi-tenant cloud-based architecture. 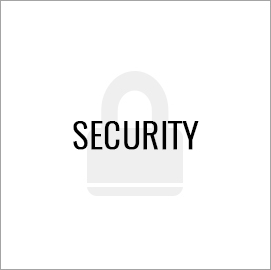 With automatic security updates and advanced DDoS protection to deal with the most sophisticated of attacks, your site is always secure and ready for business as usual. Our clients are our lifeblood. NEC supports large enterprise retailers processing millions of dollars in sales monthly, so we work hard to ensure things run smoothly. With 99.99% global site availability, downtime is never a worry, even during high-traffic periods. Datacenters are available worldwide to support your commerce goals, and the platform is monitored 24x7x365 by our highly trained experts. We want to see you grow. That's why we've built our NEC platform on a robust, agile and open architecture that is designed to integrate with your existing systems and scale for high demand. NEC is easily adaptable and scalable to the needs of your specific business. The growth of your business will never be limited by your ecommerce platform. Welcome to an independently owned company that works for our clients, not some far-removed shareholder or equity firm. Welcome to a group of individuals who love what they do and are dedicated to making our brands the best in their industry. Nox Solutions provides unique and specialized services ranging from website creation, maintenance and hosting to marketing, promotions, customer service and product fulfillment. Through the implementation of our proven online revenue strategies, we maximize E-Commerce solutions and increase profitability for media personalities and broadcasters. We know E-Business. Radio, television, music, retail, publishing and politics are a few areas of our expertise. Our combination of industry know-how, advanced technology and online promotional expertise can help you build a profitable venture online. Whether you are new to the Internet or seeking to increase the profitability of your current online venture, Nox Solutions is your answer for complete service. "Our singular focus is developing innovative web strategies that dramatically improve your brand and business." With over 15 years of innovation, Nox Solutions provides unique and specialized web services designed to create ancillary revenue outside the traditional models. Through the implementation of our proven online revenue strategies, our e-business solutions provide increased profitability for media personalities and broadcasters. 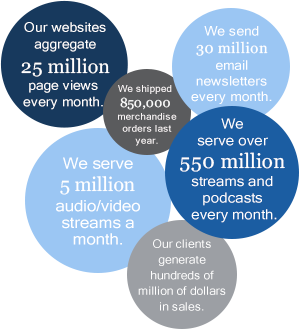 Our sites collectively generate hundreds of millions of dollars in additional revenue for our clients every year. Nox Solutions builds and operates websites for leading brands, content producers and aggregators. Our websites generate revenue from the sale of digital goods like premium subscriptions, books, merchandise, newsletters and webinars. Our fully managed & hosted end-to-end e-business solution includes website design, development & hosting, bandwidth provisioning, technical support, website operations, podcasting, streaming, order processing, order tracking, subscription management, marketing, warehousing, operations, fulfillment, shipping, credit card processing, customer service and content production. 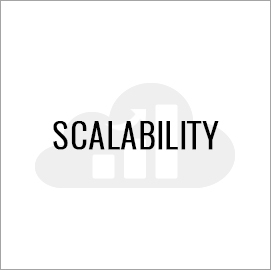 Our clients enjoy a scalable, high-speed, reliable, hosted cloud infrastructure. The Nox platform specializes in high volume premium content as well as shipped merchandise commerce sites in need of full back office support. The technology and marketing services we provide are ideal for broadcasters, syndicators and media personalities who have a need for flexible, premium subscription content services and product fulfillment around a full breadth of additional features associated with subscription based models. As a fully customizable hosted solution, we work with you on the initial design, then implement that design, host your site and continue to support and maintain the site, freeing you from the hassles of managing the IT, as your online business and the site both grow. We've designed our base platform to be an inherently tailored solution so that the implementation fits the criteria for your intended customer-base and audience. We continually invest in our technology and infrastructure so you can provide the highest level of services to your audience. Our software upgrades are always included and never at any cost, allowing our platform to be highly scalable and meet the demands of the most stringent and discerning of clients. We also invest in our team and knowledgebase, because we have learned that any company is only as valuable as its human resources. Our dedicated and highly trained staff is available to you 24x7x365 to guarantee a 99.99% uptime and productivity. 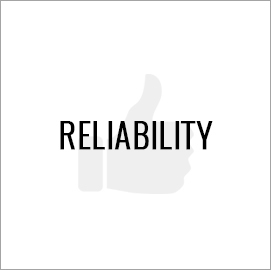 Nox Solutions has made an unparalleled commitment to security, reliability, scalability, speed, and uptime of our managed websites. We have created an enterprise level infrastructure that enables millions of visitors to download, stream and quickly navigate our sites. The Nox platform delivers over 30 million emails and serves over 550 million streams and podcasts every month. We are your technology partner and take away virtually all of your manual processes, allowing you to drive the business and release your worries about site uptime, monitoring, scalability, fraud prevention and all the other components that distract you away from broadcasting and force you into being a software and IT shop. Your brand is unique. We believe your website should reflect that. That's why we throw away the cookie cutters and build your site exactly the way you want it. We'll create a design that fits your brand, and customize our platform to seamlessly fit your business. Want a feature we don't have? No problem. We can build it. A poorly designed User Interface (UI) can cause marketing campaigns and product launches to fail, and lower your sales and market share. So we create easy to navigate interfaces designed specifically to increase conversion rate and repeat visits, and conduct user testing to ensure your UI is fully optimized for your product and audience. We build and operate internet businesses that generate revenue for our clients from day one. Our clients have no out-of-pocket expense, and they enjoy a majority share of the revenues their sites generate. There is no start-up risk to our clients; Nox does all the work and takes all the risk.